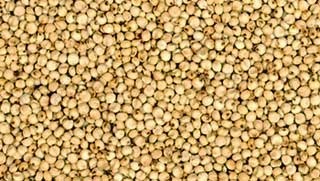 Jowar is also known as sorghum (Sorghum vulgare), great millet, White millet ,kaffir corn, guinea corn.Jowar promotes digestive health and combined with other fibre rich foods fights Cardiovascular disease and aids in blood sugar control. We make this Jonna Undrallu / Sorghum Flour Savory balls very often as snacks. They are healthy and easy to make.They tastes delicious.This is a excellent gluten free diet and has wonderful health benefits. Soak Mung dal in water for at least 2o minutes. Heat about 2 tsps of oil in a nonstick pan and add mustard seeds,cumin seeds. After they splutter add curry leaves and hing . I a bowl take Jowar Flour ,pre soaked mung dal,salt,ginger-chilli paste,a tsp of oil,tempering.Mix it all well and slowly add hot water and mix with a spoon. After couple of minutes when you are able to handle, mix well together and knead it to a soft dough.The dough should be like a chapati dough. Dough should not be very hard or very watery.When pressed with fingers it should not stick but easily go in. Take little bit of oin in palm and make small balls out of dough. Place this small balls in a steaming plate or Idli stand and steam it for 15 mins in pressure cooker without whistle or weight. After pressure cooker cools down take out undrallu and keep it aside. Serve it with Tamarind Chutney / Imli ki chutney or coconut chutney or chutney of your choice. Add very little water and make sure to mix with spoon as the water will be hot.